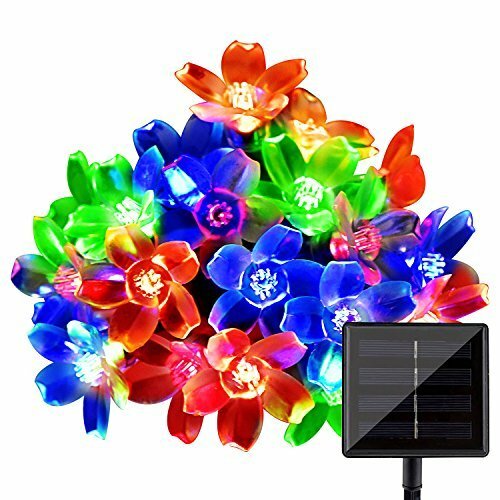 ✔SOLAR LOVELY DÉCOR - unique waterproof multi color cherry flower blossom is attractive anywhere, either in your family space or department store. Its pretty cute and fairy design create a romantic and joyous atmosphere around you. ✔COST-SAVING AND ECO FRIDENDLY - LightsEtc makes you pay less and have this good quality unique cherry flower blossom Christmas lights string. Solar powered design, A green decorative with no extra costs. ✔EASY TO USE: Two Function Modes - Steady on & Twinkling. Simple operation with two switches and one stake. One button's for power controlling and the other mode controlling. Charged by solar panel under sunlight. ✔LONG WORKING TIME - LED lights can keep glowing for 8 hours a night after about 6 hours charging during the daytime. Environment- friendly & high conversion rate. 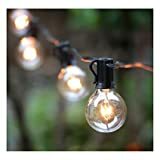 ✔SUITABLE FOR ALL DECORATION - LightsEtc solar fairy lights are perfect for any occasions, which create a warm, relax and romantic atmosphere for your patio, garden, stairway, corridor, yard, bedroom, wedding, party, shop, cafe, holiday, etc. Special blossom string light makes your environment unique from others. 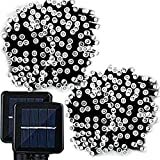 The solar blossom string light is tested and certified as waterproof IP65. It is suitable for indoor and outdoor use. After charging during the day for 6-8 hours, the batteries will provide power for 8-10 hours at night. Setting up the solar blossom string lights is quite easy. There are only two switches and one stake. 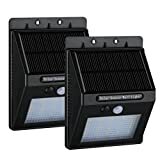 Solar powered LED -The lights discharge their energy automatically at night or in dark environment (after the first time turning on) No need to turn them on or off every time.